The nice thing about constant streams of mailers is the sender really knowing what you like. I'm overdue sending a package to GCRL Jim, now blogging at cards as i see them, but Jim still dropped a recent mailer on me. Bunting? He know me well. 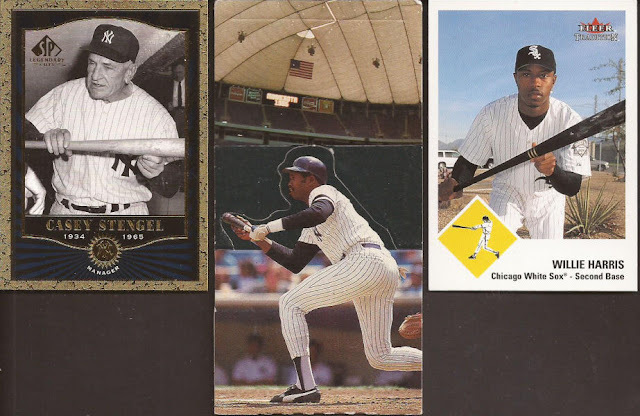 Winfield is from the 1985 Fleer/Leaf Minnesota All Star Game set. Winfield actually bunted once in his life? Double plays? He know me well. 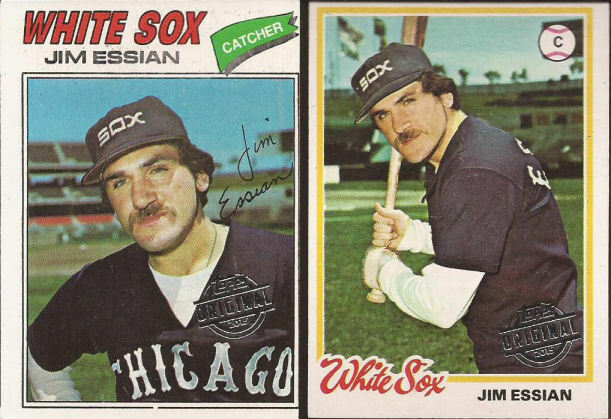 With a couple Dodgers, I assume they are dupes Jim has received. Not dupes to me, though. Throwbacks? He know me well. And what the hell, San Diego, BRING BACK THE BROWN ALREADY! Buybacks? He know me well. Jim Essian buyback hot...er....mailing. Assorted White Sox? He know me well. That super sweet red back Zarilla is going to go into my sampler binder. It was the last Topps card I needed. I'm three Bowman (1949, 1953 and 1954) and a bunch of OPC short of having one design from each year release of Topps, Bowman, OPC and Upper Deck. I need to work on Score, Donruss and Leaf. Some day. Thanks a bunch again, Jim. You know me well. 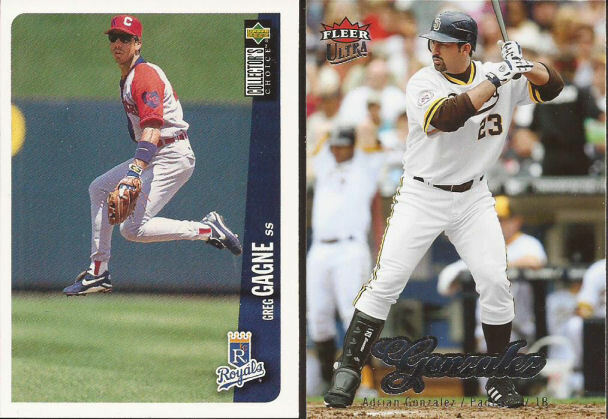 That Gagne card is something special.